The Victorians certainly did know how to to a glassed-in greenhouse in style. Enville Gardens, near Stourbridge, part of a 100-acres of gardens open to the public since at least the 1860s. This connects with my family tree, re: glass-making at nearby Wordsley and Birmingham and the new market for the glass needed for such fine structures. 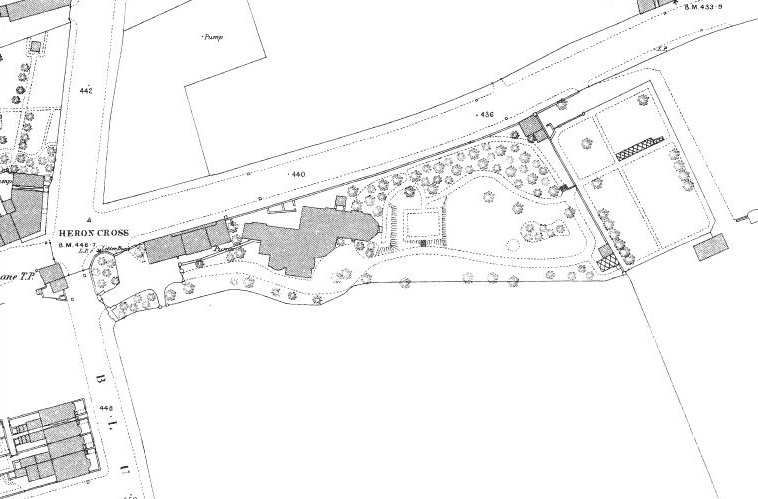 Also, it seems likely that some of the family members would have visited there. It occurs to me that Stoke-on-Trent can claim to have had a part in not one, but two seminal stories about the nature of Time. The first is H. G. Wells’s famous The Time Machine, the earliest version of which was written at Basford and introduced to the world the concept of a time travel machine. 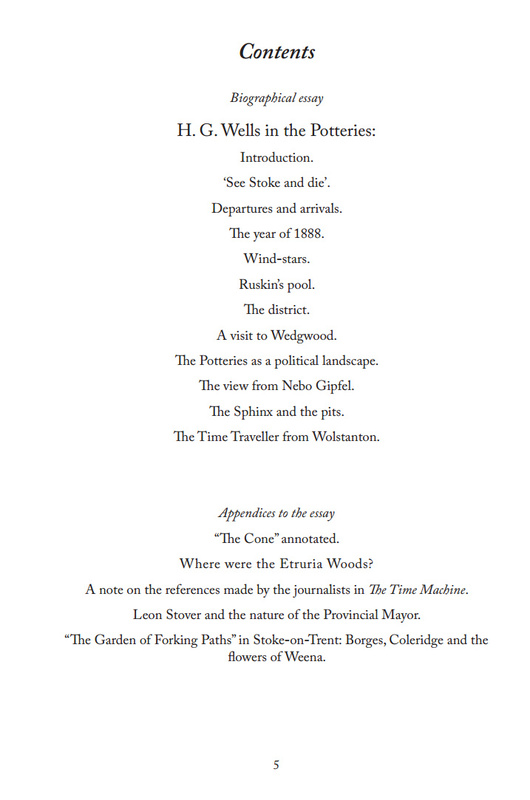 The other, which I’ve only just remembered has a local connection, is the Borges story “The Garden of Forking Paths” (1941). This introduced to the world the idea of multiple branching ‘time-paths’, down which… “Time forks perpetually toward innumerable futures”. So this is again congruent with his living in Stafford. The spy is on the local stopping ‘milk-run’ train service from Stafford to Stoke-on-Trent, since he doesn’t change trains and some of the few passengers aboard are described as “farmers”. The isolation and terrain of the rural Ashgrove station can then only suggests the real-life halt at Trentham. The spy stands to face the road on exiting Trentham station, turns left and then turns left at every proper crossroads. The spy could not have arrived there by travelling to the nearer Fenton train station, since that station was not on a train line to Stafford. Nor could he have gone on a little further to Stoke and then changed trains to go back toward Fenton, since i) he is being hunted, and time is of the essence and ii) he needs to avoid heavily policed and militarised places such as the mainline station at Stoke during wartime. He may also suspect that his pursuer will have phoned ahead from Stafford to Stoke. 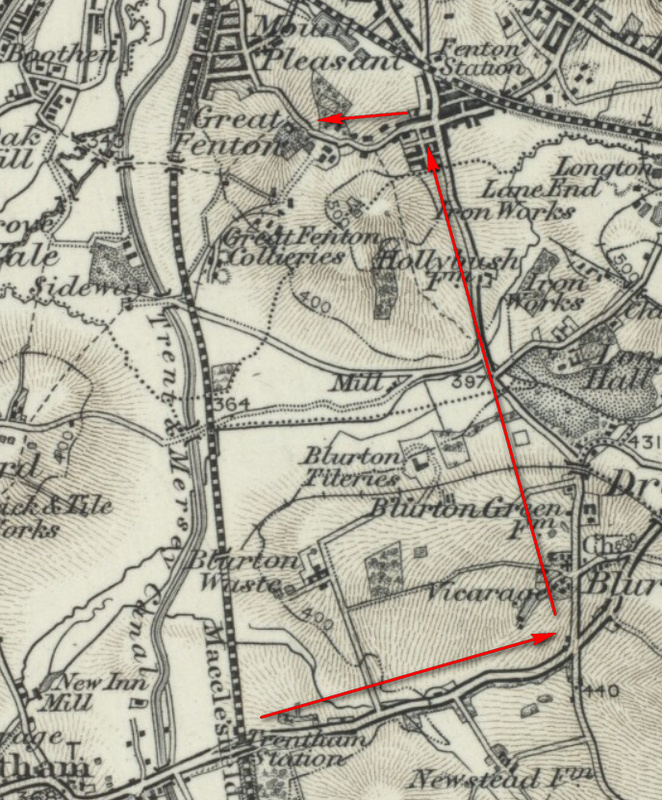 Thus he chooses the lonely rural halt of Trentham (the station near the famous Trentham Gardens), from where his map indicates he can walk unseen around the lanes to reach the “suburb of Fenton”. His pursuer, secure in the knowledge than any oriental man will be detained at Stoke, boards the next train and from the slide-down train window enquires at each platform (Stone, Barlaston, Trentham) if an oriental man had alighted there. Once again I felt the swarming sensation of which I have spoken. 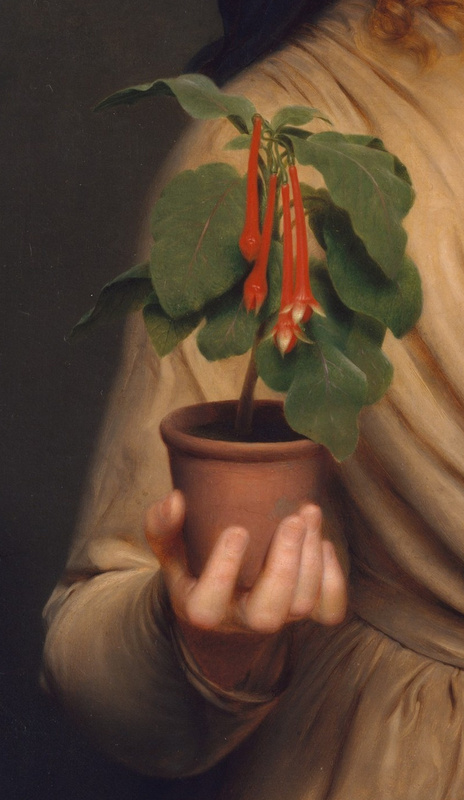 It seemed to me that the humid garden that surrounded the house was infinitely saturated with invisible persons. Those persons were Albert and I, secret, busy and multiform in other dimensions of time. It seems the sort of book likely to have been in Borges’s Anglo-Argentine father’s library. 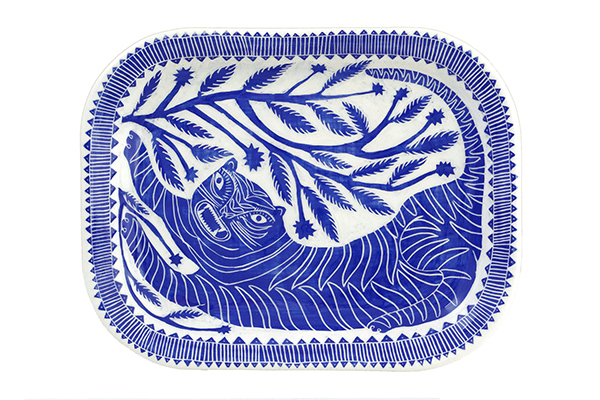 “a man of very refined and cultivated tastes […] sincerely respected by art circles in London”. So far as I can tell Battam was not a Sinologist, as Stephen Albert is in “The Garden of Forking Paths”, but he was evidently a man of a similar nature and also concerned with china (of the pottery type). 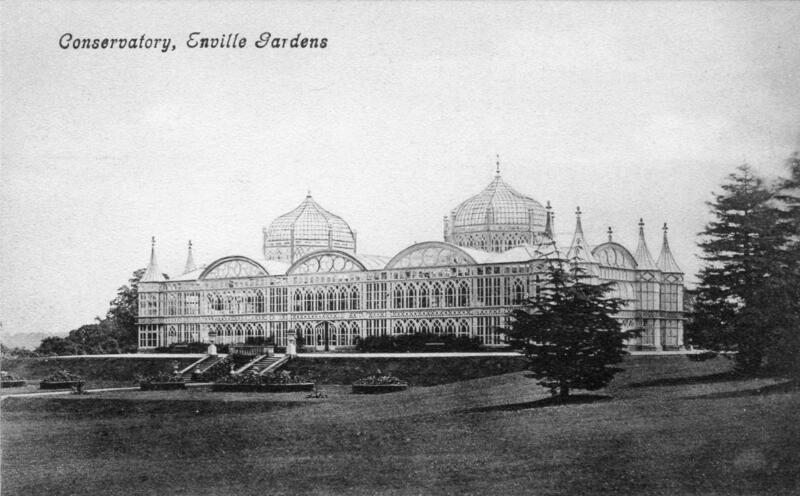 Interestingly, H. G. Wells had this same Crystal Palace on his horizon for much of his childhood, and as such it must have been the inspiration for the distant Palace of Green Porcelain in The Time Machine. A fourth-such manifestation, Borges might have called it. Dreams apart, Borges is likely correct on the matter of actual literary influence. The publication of the passage in Poetae: From the Unpublished Note-books of Samuel Taylor Coleridge (1895) was late in 1895 and thus could not have influenced The Time Machine. 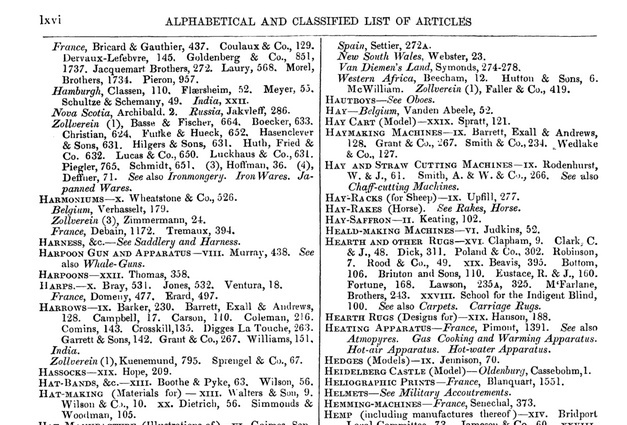 A review in the book-trade journal The Bookman of December 1895 shows that Poetae appeared for the Christmas market of 1895/96, and that it was made up of previously unpublished texts. 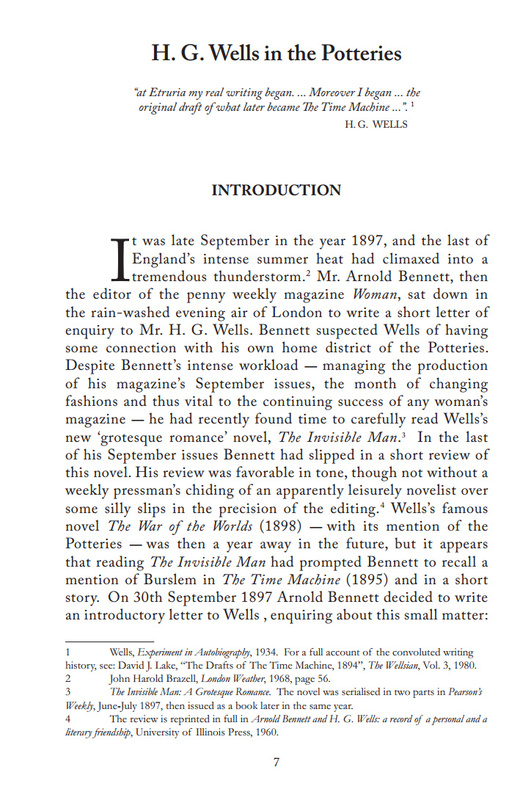 The date of publication was thus around five or six months after the final book publication of Wells’s The Time Machine. I have also checked all of the earlier partial publications of fragments of the Notebooks. Clearly Wells’s motif of the flower originates in his fateful meeting in Etruria Woods in the spring of 1888, and not with Coleridge. Stover makes a revealing point about the gas light in the Time Traveller’s home and the presence of the provincial mayor at his dinner party: the mayor would have been responsible for the political decisions that prevented the spread of electric lighting to the town of Richmond, an example of local politics getting in the way of scientific advance. But a few minutes of research suggest this is incorrect, in terms of what was going on at Richmond at the time when The Time Machine was being written. ‘The Richmond (Surrey) Electric Lighting Order, 1883’ was confirmed in 1892, an agreement having been made with the Corporation on 8th December, 1891. The local Corporation (i.e. : the local council, aka the local authority, the town having incorporated in 1890) and a contractor formed a joint venture, the Richmond (Surrey) Electric Light and Power Company, which was announced in The Times newspaper on Friday 22nd July 1892, launching a limited company capitalised at £50,000. This company set about installing electric lighting across Richmond, for at least three years, most likely beginning in earnest in the spring of 1893 when allotment letters were issued. A short biography of one Percy Northey states he was “Chief Engineer constructing and running Richmond (Surrey) Electric Light and Power Co., for 3 years until 1896”, which suggests a three-year roll-out. Possibly there was a long transition period of dual supply, and not everyone living locally would have immediately swapped to electricity. Perhaps there was not immediate supply into every nook and cranny of the district. But there seems no indication in the historical record of “local patriotisms” or “local politics getting in the way of scientific advance”. The Provincial Mayor of The Time Machine, if the Mayor of Richmond, was not in 1893-94 holding back the local roll-out of electricity. Interestingly, the elected mayor of Richmond in 1893-94 was Sir James Weeks Szlumper, the “civil engineer concerned with the construction of the London Underground” and as such hardly a provincial stick-in-the-mud (though Richmond was then under the county of Surrey, rather than London, hence the “Provincial” stands). One wonders if Wells, given his novel’s concern for the far-future development of underground spaces, was aware that Weeks Szlumper might be identified by his Richmond readers as “The Provincial Mayor”. Specifically in 1893-94 Weeks was the chief engineer and planner of the Brompton and Piccadilly Circus Railway (the modern Picaddilly Line), a modern all-electric underground train line, then a major planning proposal and which eventually went ahead after Parliamentary approval in 1897. It connected central London with Wells’s beloved South Kensington. Actually it’s by no means certain that the Time Traveller’s house was lit by gas. So far as I can tell gas is not mentioned in the 1895 text, only the opening “the incandescent lights” from which Stover infers gas-lighting. Yet a 1886 report of the British Association for the Advancement of Science talks of “the type of dynamo for the incandescent lights”, meaning electric lights. The Electrical Engineer magazine of 1893 talks of “the additional decorative effect of the electric light circles of numerous incandescent lamps” and in 1894 of a church where “The lighting effects are obtained by means of four arc “calcium” lights — two in the orchestra and two in the wings. … Incandescent lamps form the stamens of the lilies”. The Supplement to the Encyclopaedia Britannica (1889) lauds the “value of the incandescent light, as introduced into private houses” specifically “its healthfulness” because it “does not to some extent poison the atmosphere [like gas]”. 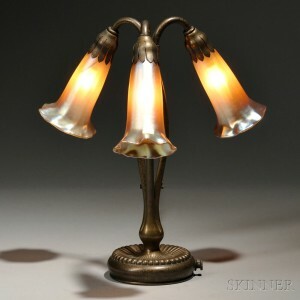 Clearly “incandescent” meant electric in 1894. It seems as though proof enough lay before us to convince us that the electric light is, of all others, the most capable of artistic handling. No longer need we be bound to ugly, upright globes to shade our lights; here are lily bells, roses, trumpet flowers, their petals glowing from stamens of electric light. 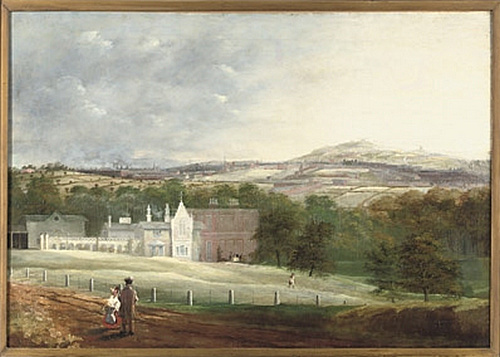 Snagged from Ebay, a large crisp engraving of Etruria Hall and Works as seen from the railway. Listed as printed 1849, but possibly sketched on the spot at any point in time from the 1830s-1848? Cryptobotany Books, three anthologies of short stories of strange plants and fungi, most from the 1880s and 90s. 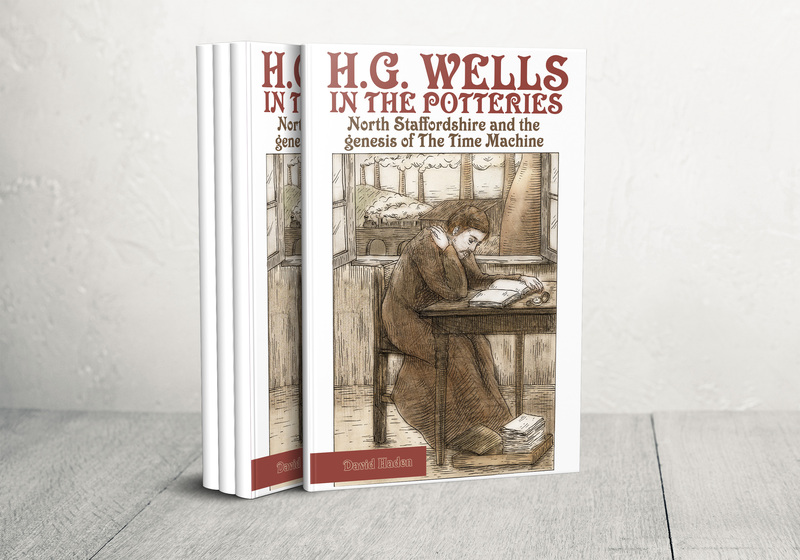 I’m pleased to announce the publication and availability of my new book: H. G. Wells in the Potteries: North Staffordshire and the genesis of The Time Machine (2017). In 6″ x 9″ format, a 35,000 word scholarly essay from a highly experienced source-hunter. With footnotes and over 50 illustrations. Plus a closely annotated edition of the Potteries short-story “The Cone”, and more. Lots of new discoveries, and the book should please Wellsians and Stokies alike.